Location, Location, Location. Enjoy College Park living to its fullest. Watch Lake Eola's 4th of July fireworks over the city skyline, or take a short walk down the street and enjoy your own private show over Lake Ivanhoe. Enjoy a vibrant Halloween among beautiful homes and friendly neighbors. Fish, paddle board, Kayak, Water ski, or take the family pooch down to one of the dog friendly parks located nearby. This home is Located directly between two Main streets of Orlando with numerous shops and restaurants. (Edgewater Dr. and Orange Ave.) The options for your specific lifestyle are at your fingertips. However, you may not want to leave your own backyard with this home's resort style pool with a Hot tub and rock waterfall. Freshly painted! The remodeled kitchen is the centerpiece of this spacious home which accommodates entertaining perfectly. Heres your opportunity to own a rare 4 bedroom 3 bath home with lots of closets and storage in College Park! All this and a resort-style pool as well. 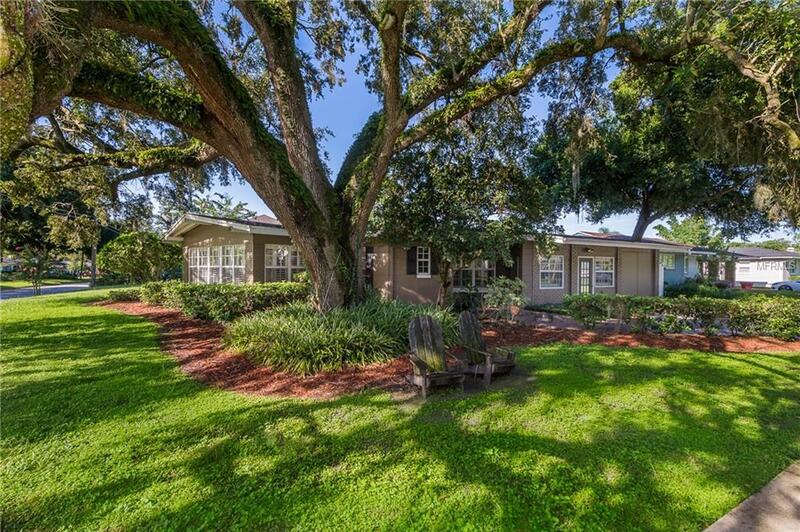 Situated on a generous corner lot, accentuated with a grand oak tree, this home is perfect for an extended or multi-generational family, with a private in-law suite or dual master suites with man cave. The possibilities are limitless. Available for QUICK CLOSING and IMMEDIATE OCCUPANCY, put this home on the top of your list! SEE IT TODAY! SEE VIRTUAL TOUR FOR MORE PHOTOS!